We Care Challenge: Are You Up for the Challenge? The I Believe Foundation, in association with the Cancer Association of South Africa (CANSA), is proud to launch the We Care Challenge. The campaign is designed to bring organisations and individuals closer together by showing that they care. The core objective of this campaign is to offer Companies, Medical and Health Practitioners, Schools and Individuals that care, and offers them an opportunity to pledge their company logo, school logo/crest, business card, or an inspirational message. In honour and remembrance of loved ones lost to cancer. The challenge is about promoting an active, healthy lifestyle, with an emphasis on the importance of caring and reaffirming those who are affected by cancer are not alone. When an individual or loved one is affected by cancer, they often experience a range of emotions from turmoil, denial, anger, fear, anxiety and often feel alone with the belief that they can not get through it. This can be compared to climbing a mountain like Mount Kilimanjaro. To bring together a Family of Companies that Care about their staff, customers and loved ones who have been affected by cancer. To bring together a Family of Medical and Health Care Practitioners that Care about their staff, patients and loved ones who have been affected by cancer. To bring together a Family of Schools that Care about their staff, students and loved ones who have been affected by cancer. To bring together a Family of Individuals that Care about their family, friends and loved ones who have been affected by cancer. The We Care Challenge Focuses On Six Groups of Families that Care. Company Logo Challenge – The costs per logo is from R3 000 depending on size and placement. Company Business Card Challenge – The cost of the business card pledge is R500. Practice/Practitioners Name Challenge – The cost to pledge the Practice or the practitioners name to the banner from R3 000. Practice Business Card Challenge – The cost of the business card pledge is R500. Personal Message Challenge – The cost is from R 100 per message. School Business Card Challenge – The cost of the business card pledge is R500. Pre-School Business Card Challenge – The cost of the business card pledge is R500. 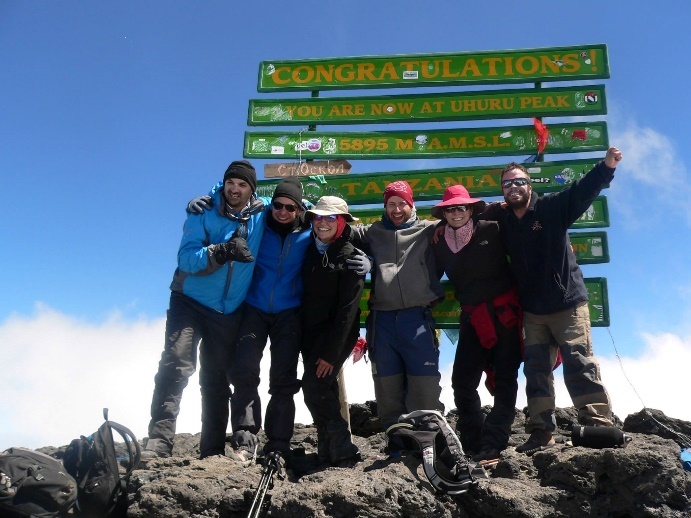 Climbing Challenge – Climb Mt Kilimanjaro in support of those affected by cancer. The climb may be sponsored with specific terms and conditions. For Companies, Medical and Health Care Practitioners, Schools and Individuals to accept the challenge and support the campaign by either pledging their company logo, school logo/crest, or by pledging a personal message of support and inspiration which will be displayed on Mount Kilimanjaro in our annual event in June 2019 and throughout the campaign on social media. Organisations have the opportunity to pledge their business card which will be displayed on social media under the Family of Companies that Care.